Available in small or large as pictured. 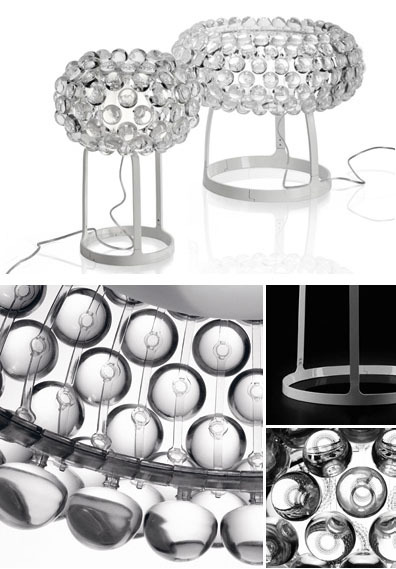 Luxurious table lamps composed by spheres of transparent polymetylmetacrylate ordered in a concentric layout, that multiplies the brightness of the central light source. A screen in white satinized blown glass guarantees maximum diffusion of light and prevents glare. A solid base is provided by the original design of the stem. Dimmer switch included. Perfect for both residential and commercial projects. There is also a pendant-, floor- and wall sconce version.